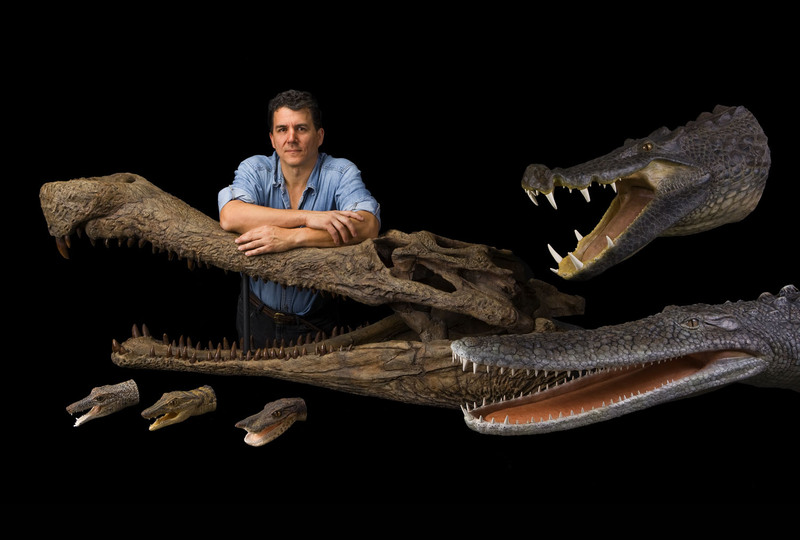 Paul Sereno, Professor and National Geographic Explorer, works in his Fossil Lab at the University of Chicago, resurrecting creatures long extinct. His field exploits began in the foothills of the Andes in Argentina, where Sereno discovered the earliest dinosaurs. Other expeditions have explored the Sahara and Gobi Deserts, India’s Thar Desert and remote valleys in Tibet. A menagerie of spectacular crocodiles and dinosaurs have been unveiled, including giant 50-foot long predators, digging raptors, head-butting dwarfs, and a 40-foot-long SuperCroc. His latest discovery is a human graveyard in the Sahara predating the Egyptian pyramids. Featured in many National Geographic magazine stories and NOVA documentaries, Sereno was named Teacher of the Year by the Chicago Tribune, given the University Medal for Excellence by Columbia University. His efforts to foster up-and-coming scientists among urban youth earned the Presidential Award for Excellence in Science, Mathematics, and Engineering Mentoring from President Obama in the White House.